You might not be surprised to hear about someone breaking a leg while skiing or mountain biking, but what about while stepping off a curb? Even ordinary, common activities can be dangerous for someone suffering from osteoporosis. In fa ct, in the United State there are an astounding 2 million fractures every year related to osteoporosis. The cost of treatment is an estimated $17 billion, according to the American College of Obstetrics and Gynecology, which recently issued new practice guidelines for the condition. Doctors should talk with their patients about bone health starting when they are teenagers at their peak bone-building stage, the College said. For those of us who are older, we should hear about lifestyle factors that may affect bone density and fracture risk. Although men can get osteoporosis, the condition is five times more prevalent among women. Also, women are more likely to get fractures. Women put themselves at risk through smoking, poor nutrition and excessive weight loss. But there are things that can be done such as increasing weight-bearing and muscle-strengthening exercise and making sure to consume enough calcium. 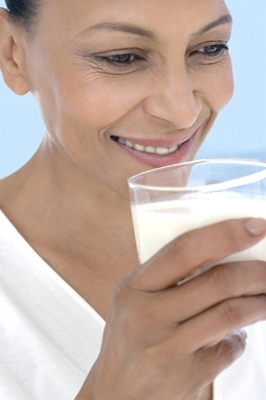 The Institute of Medicine (IOM) recommends 1,300 IU (international units) of daily calcium for girls ages 9–18; 1,000 IU per day for women ages 19–50; and 1,200 IU per day for women over age 50. The IOM recently increased the recommended dietary allowance of vitamin D from 200 to 400 IU to 600 IU per day for most people, and from 600 IU to 800 IU per day after age 70. All postmenopausal women should have a baseline bone density test. The National Osteoporosis Foundation recommends that women age 65 and older get a bone density test every two years, unless a physician recommends more frequent testing due to patient risk factors. Ella health offers bone density tests conducted by experienced technologists and interpreted by board-certified radiologists. The results are reported directly to patient’s physicians within 24 hours.